Australian and New Zealand Army Corps was a World War 1 army corps of the Mediterranean Expeditionary Force that was formed in Egypt in 1915 and operated during the Battle of Gallipoli. The corps was disbanded in 1916 following the evacuation of Gallipoli. The corps is best remembered today as the source of the acronym ANZAC which has since become a term, “Anzac”, for a person from Australia or New Zealand. This entry was posted in International flags, Uncategorized and tagged 3' x 5' Australia Flag, 3' x 5' new zealnd flag, Australia Flag, Australia Nylon Flag, Australian Flag, Flag-Works, international flags, Made in the USA, new zealand flag, new zealnd flag, new zealnd nylon flag, Nylon on April 25, 2016 by admin. Flag-Works provides quality made Belgium, Belgian flags that are produced to international color and design standards. Belgium, Belgian flags are made using 100% Solarmax nylon fabric, strong canvas heading and #2 brass grommets. Belgium, Belgian flags look great indoors and outdoors. Belgium, Belgian flags are suitable for companies and organizations that fly flags on a daily basis or someone who is proud to show their heritage. Order your Belgium, Belgian world flag today. Didn’t find your flag, give us a call. We stock the Belgium, Belgian flag in 4×6 inch, 12×18 inch, 2ft x 3ft, 3ft x 5ft and 4ft x 6ft 5ft x 8ft and 6′ x 10′ sizes in nylon. Larger sizes are available. This entry was posted in Belgium Flag, International flags and tagged Belgium, Belgium Flag, Belgium Flag on Sale, Buy Belgium Flag, Flag-Works, international flags, Made in the USA, Nylon, Nylon Belgium Flag on March 23, 2016 by admin. Flag-Works provides quality made Ireland, Irish flags that are produced to international color and design standards. Ireland, Irish flags are made using 100% Solarmax nylon fabric, strong canvas heading and #2 brass grommets. Ireland, Irish flags look great indoors and outdoors. Ireland, Irish flags are suitable for companies and organizations that fly flags on a daily basis or someone who is proud to show their heritage. Order your Ireland, Irish world flag today. Didn’t find your flag, give us a call. This entry was posted in International flags, Ireland Flag and tagged flag of Ireland, Flag-Works, international flags, Ireland, Ireland flag, Irish flag, Made in the USA, Nylon, Nylon Ireland FLag, St. Patrick's Flag on March 3, 2016 by admin. On January 26, 1788 the First Fleet under Captain Arthur Phillip arrived at Sidney Cove in Australia and claimed the land for Great Britain. The First Fleet was made up mostly of prisoners who established a penal colony in Australia. The 26th was celebrated early on as the anniversary of the landing date of the First Fleet. For the first 100 years the day was celebrated mostly by people in New South Wales. Other colonies had their own foundation days that they celebrated. In 1888, one hundred years after the First Fleet landed, all of the colony capitals but Adelaide celebrated the day as Anniversary Day. By 1935 all the states celebrated the 26th as Anniversary Day. In 1946 the day was renamed to Australia Day. This entry was posted in International flags and tagged 2' x 3' Australia Flag, 3' x 5' Australia Flag, Australia Desk Flags, Australia Flag, Australia Nylon Flag, Australian Flag, Flag-Works, international flags, Large Australia Flags, Made in the USA, Nylon on January 20, 2016 by admin. Flag-works is sending their deepest condolence to all those who have lost and experience this tragedy that has taken place by terrorist. As Paris is going through the same that we had experience many years ago, let’s give them our support buy the French Flag and fly it today. This entry was posted in France Flag, Uncategorized and tagged Flag-Works, France flag, French Flag, international flags, Made in the USA, Nylon, Nylon France Flag, Nylon French Flag on November 20, 2015 by admin. Flag-Works provides quality made Canada, Canadian flags that are produced to international color and design standards. Canada, Canadian flags are made using 100% Solarmax nylon fabric, strong canvas heading and #2 brass grommets. Canada, Canadian flags look great indoors and outdoors. Canada, Canadian flags are suitable for companies and organizations that fly flags on a daily basis or someone who is proud to show their heritage. Order your Canada, Canadian world flag today. Didn’t find your flag, give us a call. This entry was posted in International flags and tagged Canada Flag, Canada Nylon Flag, flag, Flag-Works, international flags, Made in the USA, Maple Leaf Flag, Nylon, Polyester on October 16, 2015 by admin. 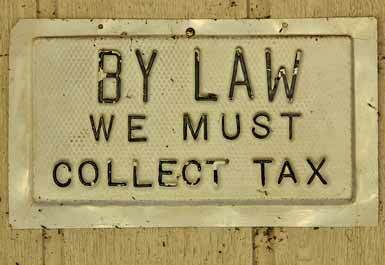 No Internet Sales Tax Collected Here! Flag-Works over America would like to let all of our customers and future customers know that we do not and will not charge a sales tax when you buy a flag from us. We are a New Hampshire company which has no sales tax. That’s the New Hampshire advantage! When it comes to flags we have no other locations in any other state so we will not have to collect a sales tax for them. Any one want to buy a flag no sales tax and no shipping costs? Visit our website for free shipping or order by phone and only pay a flat fee of $6.95, whether you buy one or ten flags. This entry was posted in American Flags, Flag-Works in General, Flags, International flags, Military Flags, New Hampshire State Flag, Open flags, State Flags, Uncategorized and tagged american flag, American Flag with no tax, american flags, Flag-Works, Flags on Line, Historical flag, international flags, Military Flags no tax, New Hampshire State Flag, No Tax on Flags, open banners, open flags, POW/MIA flag, state flags, Tax Free, Tax Free Flags, us flag on September 26, 2015 by admin. The national flag of the Republic of Kazakhstan has a gold sun with 32 rays above a soaring golden steppe eagle, both centered on a sky blue background; the hoist side displays a national ornamental pattern “koshkar-muiz” (the horns of the ram) in gold; the blue color is of religious significance to the Turkic peoples of the country, and so symbolizes cultural and ethnic unity; it also represents the endless sky as well as water; the sun, a source of life and energy, exemplifies wealth and plenitude; the sun’s rays are shaped like grain, which is the basis of abundance and prosperity; the eagle has appeared on the flags of Kazakh tribes for centuries and represents freedom, power, and the flight to the future. Flag-Works provides quality made Kazakhstan, Kazakhstan flags that are produced to international color and design standards. Kazakhstan, Kazakhstan flags are made using 100% Solarmax nylon fabric, strong canvas heading and #2 brass grommets. Kazakhstan, Kazakhstan flags look great indoors and outdoors. We stock the Kazakhstan, Kazakhstani flag in 4×6 inch, 2ft x 3ft, 3ft x 5ft, 4ft x 6ft, 5ft x 8ft and 6′ x 10′ sizes in nylon. Larger sizes are available. Order yours on our website or visit our retail store. This entry was posted in International flags and tagged Flag-Works, international flags, Kasakhstani nylon flag, Kazakhstan Flag, Kazakhstan nylon flag, Kazakhstani Flag, Made in the USA, Nylon on September 24, 2015 by admin. This entry was posted in International flags, Uncategorized and tagged international flags, Made in the USA, Union Flags, Union Jack Flags, United Kingdom Flags on May 6, 2015 by admin. Flag-Works has all you need when it comes to making that right choice for flags. Spring is the time to replace your tattered flags that have gone through a rough winter. Whether it is an American Flag, State Flag, Military Flag, International Flag, Historical Flag or a Decor Flag we have it available for you. Order today or come by our retail store: 16 Kennedy Ln, Concord, NH 03301. This entry was posted in American Flags, Decorative Flags, Historical Flags, International flags, State Flags on April 30, 2015 by admin.